Not everyone enjoys waking up at the crack of dawn, but many of us don’t have much of a choice, whether it’s because of our jobs or other personal obligations. In construction, workers often start their mornings as early as 4 to 5 AM and work long 10 hour days. However, simply choosing to wake up early isn’t easy, even for early risers. Your preferred sleeping and waking patterns, also known as chronotype, are partly influenced by your genetics. In addition, people are also not getting the adequate amount of sleep. According to the CDC, 1 in 3 American adults are not getting enough sleep in a regular basis. Luckily, there is hope — science shows that there are research-backed ways to “hack” your chronotype and make the transition from a night owl into a morning lark. You need to invest in better sleep, develop a consistent routine, create clear goals, and replenish yourself throughout the day. 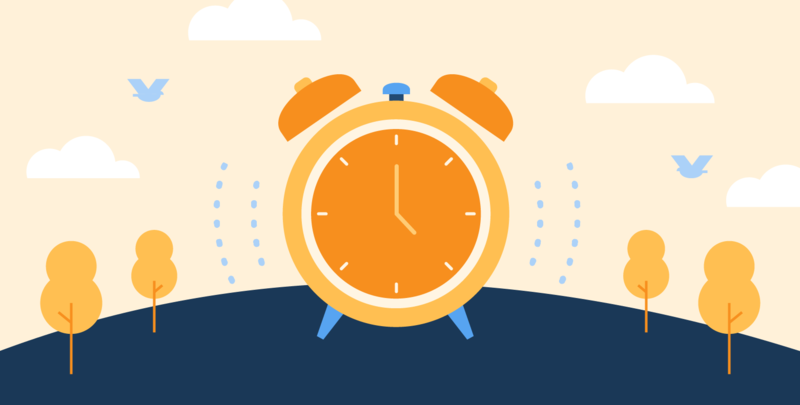 Although waking up early is challenging, there are many benefits to being a morning person, including more productivity, improved moods, and overall better health. Doing so will put you among other successful morning larks like Bill Gates and Michelle Obama. Want to wake up earlier? We created an infographic that outlines some science-backed tips for how to become an early riser. In order to wake up earlier (and not hate it), you need better sleep. That means sleeping earlier in addition to eliminating stress and creating a suitable environment for your body to fall asleep. While it’s inevitable to wake up with grogginess, a well-defined morning plan and simple actions can help you become more alert. In addition to these science-backed tips, you can also listen to podcasts, which often offer specific habits and tools you can apply to most the most of your mornings. Finally, being a morning person doesn’t apply to just the mornings. You’ll want to energize yourself throughout the day and destress before the evening. Once you have your body on a steady routine, you’ll reap the benefits of being an early riser and be more excited about your mornings.